Karunanidhi health status: Former Tamil Nadu Chief Minister and DMK patriarch Karunanidhi continues to remain critical on Tuesday even as people have started thronging the Kauvery hospital in Chennai. 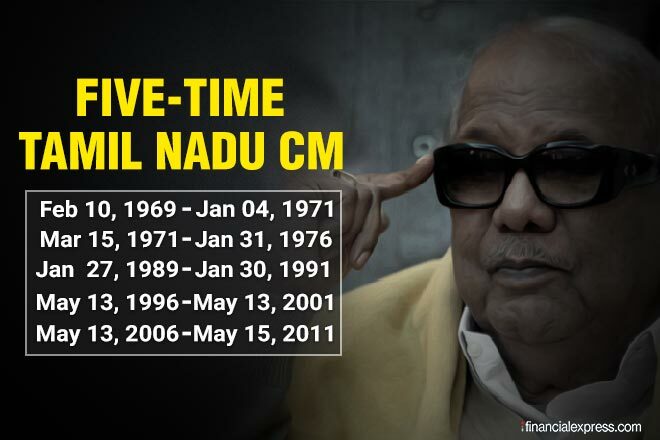 The five-time CM has been keeping unwell for past two weeks. The leader’s wife Dayalu Ammal today visited him at the hospital, her first visit to the hospital since Karunanidhi was admitted to the hospital on July 28 following a drop in his blood pressure. Latest visual from outside Chennai's Kauvery hospital where former Tamil Nadu CM M Karunanidhi is undergoing treatment. Stalin and several legislators, including Duraimurugan left the hospital premises by 10.10 PM. In the last 10 days right from President Ram Nath Kovind, Vice President M. Venkaiah Naidu, Congress President Rahul Gandhi, former Prime Minister H.D. Deve Gowda and leaders from various parties including the BJP, Left and others - visited the hospital to express their wishes for Karunanidhi's speedy recovery. Outside the hospital, the DMK cadres are shouting: "Get up and Come." The veteran leader enjoys huge support and respect among Tamil masses. 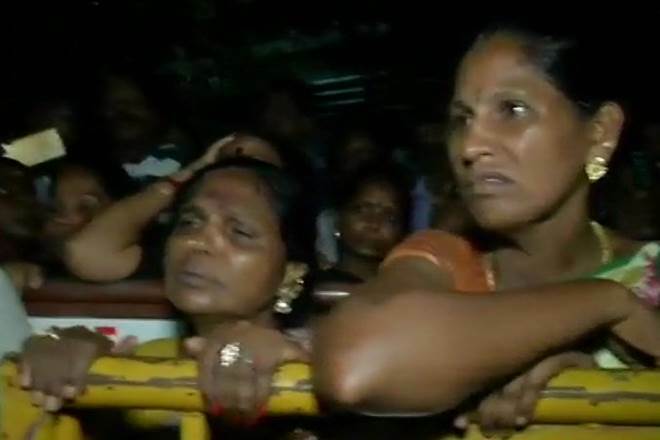 Hundreds of DMK workers started marching towards the Kauvery hospital in Alwarpet in the heart of the city as news of deterioration of Karunanidhi's health broke out in the evening. Traffic in various parts of the city was paralysed. Karunanidhi was admitted to the hospital on July 28 following a dip in his blood pressure which later stabilised but doctors had later said due to "decline" in his general health his stay would be extended. 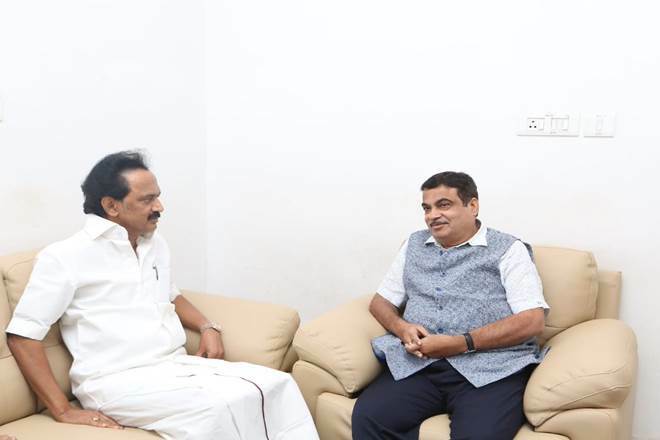 Union Minister Nitin Gadkari met DMK leader MK Stalin and Kanimozhi at Chennai's Kauvery hospital to inquire about DMK chief M Karunanidhi's health condition. The hospital had said on July 31 that an extended stay could be necessary due to age-related overall decline in his general health, altered liver function and haematological parameters. A host of dignitaries and leaders, including President Ram Nath Kovind Vice-President Venkaiah Naidu and Congress President Rahul Gandhi among other leaders and personalities from other walks of life have visited the hospital and enquired about the veteran's health. 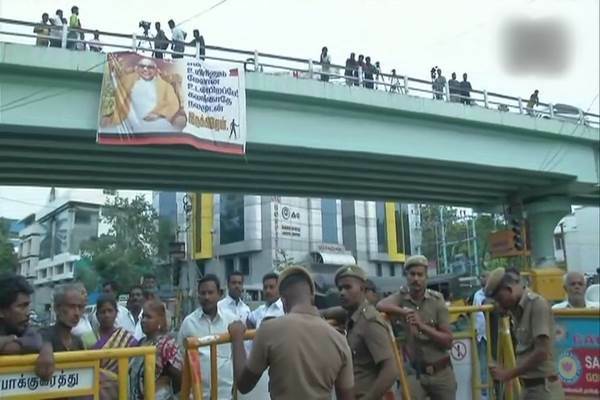 With reports of DMK chief M Karunanidhi's health decline, his supporters continue to gather outside Kauvery hospital in Chennai. As reports suggested dip in Karunanidhi's health, DMK cadres reach near Kauvery hospital premises. They alsopray for his good health. M Karunanidhi was admitted to the hospital on July 28 after a dip in his blood pressure which later stabilised, however doctors later said due to "decline" in his general health his stay would be extended. Karunandhi's son MK Satlin's wife reach hospital as health of DMK patriarch declines. the 94-year old is admitted in Chennai's Kauvery hospital since July 28. The veteran was admitted after drop in his blood pressure. he DMK patriarch is on "continuous monitoring and being treated with active medical support. His response to the medical interventions over the next 24 hours will determine the prognosis," Executive Director of the Hospital Dr Aravindan Selvaraj said in the release. DMK supremo M Karunanidhi is under constant medical observation since being admitted in Kauvery hospital in Chennai last month. His family members are in the hospital. Chennai's Kauvery Hospital issues the medical bulletin of DMK supremo M Karunanidhi. It suggests a decline in his medical condition. MKarunanidhi's family members which include sons MK Stalin,MK Alagiri, MK Tamilarasu and daughter Kanimozhi are at Kauvery Hospital. Other part leaders present their include A Raja, KN Nehru. With former Tamil Nadu M Karunanidhi in hospital, his supporters countinue to pur in near the Kauvery hospital and praying for him. The 94-year old was admitted in hopital last month. President Ram Nath Kovind visited DMK supremo M. Karunanidhi at the Kauvery Hospital in Chennai on Sunday. "Visited Thiru Karunanidhi met Kalaignar's family members and doctors and inquired about his health. Wishing the former Chief Minister of Tamil Nadu, a veteran of our public life, a quick recovery," the president tweeted on his official tweeter account. He was accompanied by Tanil Nadu governor Banwarilal Purohit. DMK supremo M Karunanidhi is admitted Chennai’s Kauvery Hospital early on Saturday. After getting news of him being admitted in the hospital, veteran leaders supporters had gathered outside his home. Tamil Nadu Congress Committee president S Thirunavukkarasar said that there was there was some setback in the health of the DMK president in the morning. On Sunday, President Ram Nath Kovind had visited DMK president Karunanidhi at Chennai-based Kauvery Hospital and wished him speedy recovery. Kovind was accompanied by Governor Banwarilal Purohit. He met Karunanidhi's son MK Stalin and daughter Kanimozhi at the hospital and enquired about their father's health. 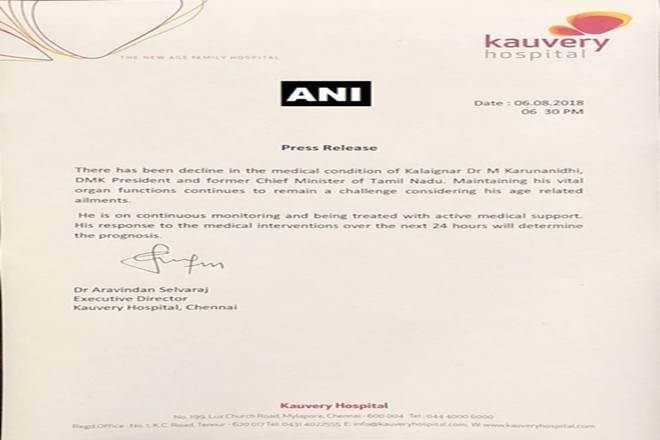 A five-time Chief Minister of Tamil Nadu, Karunanidhi was admitted to Kauvery Hospital on July 28 after a dip in his blood pressure and has since been under treatment.